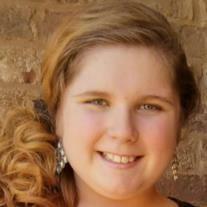 Our family was saddened in October 2014 as we received the unexpected news that Brie Rowland, a precious girl who was part of the children’s ministry of Grace Baptist Church (our former ministry in Pinson, Tennessee) passed away from a terrible and tragic accident. As the text came across my phone, tears began to flow. From hospital hallways to funeral homes, a pastor’s life is continually blanketed by death. If we are not careful, we can slowly develop a robotic numbness to death. And then a precious twelve year old girl is electrocuted in a freak accident. How do you wrap your brain around that? My answer to that question…you don’t. Sarah and I taught her in Sunday school class for two years. It was obvious that she loved the Lord and served Him with gladness in her brief years upon this earth. 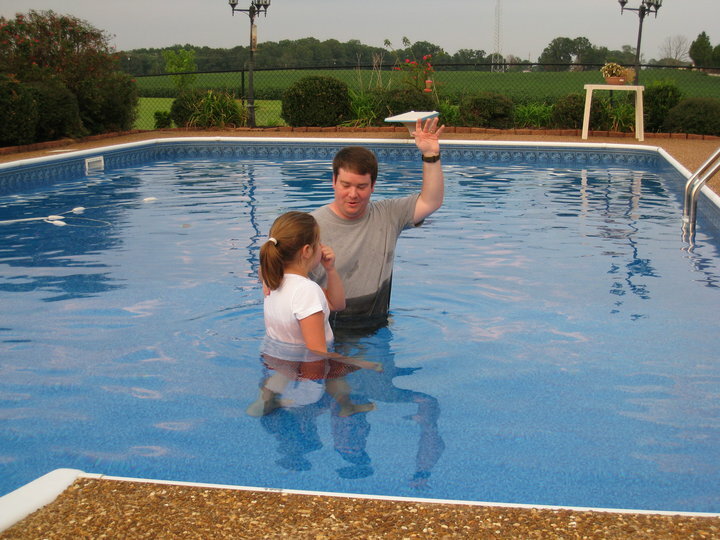 I had the honor and privilege of baptizing her in the summer of 2010 (see picture below). Brie was a beautiful little girl; inside and out. She was a little shy, but always kind and polite. God permitted what He could have prevented. God in His sovereign care permitted something that we cannot begin to understand. But He allowed it for a purpose. While on this side of eternity, we will not fully understand why Brie left us at such a young age. But when one day, after we have left this sin-stained world and are ushered into eternity with our Lord, the “curtain will be pulled back” so to speak, and what we did not understand here on earth will be explained to us in heaven. We will have fullness of knowledge. Every heartbeat is a gift from God. God owes us nothing, not even our next heartbeat. Each day is a gracious gift from God. Every moment of life must be seen as a precious drink from the fountain of God’s grace. God has a plan for our lives. – In the passage above, our friend King David expressed how God had mapped out his life from start to finish. The precise length of his life had been determined by God. These poetic words serve as a reminder to all of us that our lives are not held in confines of our own hands, but rather in the hands of God. The hands of God are the bookends holding our life story. There is a comfort and assurance we ought to find in this truth as we rest in the palms of God, who is the author of time. As a believer, Brie’s earthly story is only the beginning of her eternal story; for her story is a story with no ending. As eternal creatures, people are designed by God to exist forever. Which raises a question; where will you spend eternity? Brienna Lacole Rowland had trusted Christ as her personal Lord and Savior. If you have not done the same, please do not delay and do so today. May God comfort the Rowland family during this most difficult time. Brian, Jamie, & Jameson, we love you. Wow. I’ve never had a child close to me die, but I know people who have and it’s hard to watch them go through that and not be able to fix it. People’s lives do matter. That’s why I try to refrain from fossiping or being a jerk to someone because they could die right after and here is nothin g you can do, but feel guilty for the way you treated that person. I remember a story of a guy who started going to church as a teenager and everyone at his school went to that church. They were mean at school and at church. And then, he died. They didn’t witness to him, so he went to Hell. I never want to do that. That scares me, and we need to value lives. Life is so fragile! Raina, thank u for sharing your thoughts with the class. I’m actually gonna be on a bus for awhile so that’s why I’m posting on all the topics, Mr. Martin. I’ve praying about them as I go through and I rally like these topics. Thank you! Wow! Death is a terrible thing. It’s very heartbreaking and me personally, I never understand why people have to die. Some of my family’s close friends lost their little girl when she was 4 years old. I only met her once, in the nursery at my church, the first time they visited our church. I never new Alana, but I saw pictures and heard about her. I am very close to the Atchisons and would’ve loved to meet Alana. But I know she’s in heaven and one day I will meet her. Death is reality. We don’t understand why people die but more specifically, we don’t understand why children die. We can’t comprehend this, but we know that God is holding the world in the palm of His hands. He is in control and things happen for a reason. The Atchisons are an amazing family who love the Lord. I’ve heard their testimony and it truly is an amazing story. God used Alana’s death to do something wonderful in that family. Now they have adopted a sweet little boy from Africa. Everyone’s life will be touched by the death of a friend or loved one. We must be grounded in our faith. Thank u Ellie! God always has a plan. In 2012 a very special person in my family had a rare stroke and died. My family and I were with him as he left this world, it was different from anything we had ever felt before. My family and I didn’t go to church at the time but we all knew that it was presence of God in that hospital room. God gave my family and I peace. There were tears but God also gave us laughter during that time. I believe that God took him out of our lives to show us what we could have on a daily basis. Now my and family and I are in church praising the Lord. We know that we will see that special person again. I believe that God takes people out of this world so that we see God in the mist. Sometimes we don’t understand why God takes people, but His ways are much higher than our ways. God will use an event like a death to draw us into deeper fellowship with God. It sounds like that is what the Lord did in the life of your family. Thank u for sharing Lacey! My Mom had the same thing happen to her. One of her students died a few weeks ago from cancer. The girl was only 18 years old.I hope someday we can understand the purpose. There is always a purpose in the passing of someone. We may not know it at the time, but we can rest assured that God has a purpose. Thank u Cassidy! I’ve never experienced a death of a child that I cared about, but I know death is a terrible thing that I will never understand. I have lost a someone I loved to cancer and questioned God. but I know he had a purpose and that everything he does happens for a reason. but most important I knew that person had a relationship with Christ. it wasn’t that person that had to let go that God was going to take them. but me, that had to accept it and trust God with everything that happened. Wow Marissa. Thank u for sharing your heart. I pray that God would continue to heal your heart. I am enjoying having u in class. No one likes to imagine death, especially young people. A lot of times, people begin to think that they are indestructible and nothing will happen to them. People will even start to believe that they can plan out their own lives for themselves. We can see in the Bible that God has planned out every sleeping and waking moment of our lives. He has planned out everything for us, before we were even conceived. He knows the moments of dismay and the moments of joy we will experience throughout our lives. He knows every single detail about us, such as when our time in this world will come to an end. My mother has never sheltered me from the facts of death. (I realize this sounds morbid!!) She answered all the questions I had at a young age. She talked to me about funerals, life, and life in heaven. We all experience death in at least one way or another during our lives, but we have to realize that God has a home for us with Him in heaven. Until then, He is here to comfort us and be with us, to watch over us and our daily needs. I have never experienced the death of someone I care about, or to be honest anyone in my family that I can even remember. my mom told me when I was born I had a twin. my mom wasn’t even expecting twins, but when I was born there were two babies, sadly my twin didn’t make it, she said that it died in the womb. she also said that no one knew if it was a boy or a girl. I often think about what life would be like if my twin were alive. I also wonder why God didn’t want my twin to live. I have many friends who have had grandparents, aunt, uncles, and even parents die, and i know that it is horrible and heart breaking. i will never forget the time when my friend Lindsey’s grandfather died. she was doing stuff with my family one day in between church services. We had went swimming, played games, and watched a movie and then it was time to go back to church. When we got there my mom told Lindsey and I to go into the fellowship hall. she went and put treasure in the nursery and when she came to the fellowship hall she started talking Lindsey about how her parents were busy, with her mom playing the piano in the sanctuary and her dad coming the church from work. she told her that her mom had went and visited her grandfather in the hospital, and that she told them to take him of the ventilator. she told Lindsey that she was sorry but her grandfather had died and she began to cry and she and i just at there hugging while she cried. i know God has our lives mapped out and he know when and how we are going to die, an even though we may not understand why at the time i know we will when we got to heaven. Thank u Miracle! I enjoy hearing your thoughts and insight in class ! I lost my father at the age of 8 and can still to this day remember everything that happened. Death is something that every person will go through. I constantly remind myself that everything happens for a reason and even though we might not understand it right now one day we will. Everything is part of God’s perfect plan. Iva, thank u for sharing. I can’t even imagine the difficulties of losing a parent at such a young age. Praying for u and your family. I am enjoying having u in class! Death is happening all the time. Its something we can never escape,but it can help someone who isn’t a christian understand christians’ faith in God is real by the way that person who died lived there life. I know how you feel, Iva. I lost my dad 2 years ago. and that was the person I was referring to in my comment. that happen. or what was said about it. I sometimes wish he was here with me. but I also remind myself that I don’t want him here because this world is full of pain and God took him for a reason and he is at a better place where there is no hurt or pain. just happiness. and I know I’ll never understand why but I just trust God with it. I have never experienced loosing someone I was close to.i know people who have lost loved ones and I have seen how much it impacts them.i know that we all will die someday but death is a scary thing and I can’t even think about dying or loosing someone close to me.God has a time for everyone to die and I know he has a reason for it. This is very sad but a reality that we have to face as humans. Often times us humans only focus on the short time on earth when really we should be more focused on storing up crowns in heaven not earthly possessions. It doesn’t matter how old you are we always be living for God. This is truly sad. I could never really think of a girl that young dying, but it happens. At the age of 14 death is really the last thing on my mind, but this article really opened my eyes. It makes you wonder, like you said, where will I spend everlasting life? This is a sad story. It shows that even though bad things happen to us dose not mean God is not in control. God uses bad things for good and that really shows just how powerful God is that he can take a awful thing and make an amazing outcome. God is so amazing i just cant say it enough. To kids at that age the thought of death dose not eve cross our minds that’s what makes this such a awful thing it really makes you think about death and if you really are a christian and where will you spend eternity. The Bible tells us that God knows the plan for our lives even before we are created. Worrying about our future or trying to create our own plan won’t change what is already carved out for us. I had a really good friend to die in an accident. I was in third grade when it happened. My friend was only in first grade, but we were in cub scouts together. That afternoon, before he died, we had our cub scout banquet and he wanted to sit by me. We laughed and talked to other friends and got our awards. When we left, I just figured I’d see my friend later at school the following Monday. The night of the banquet, my mom found out what had happened. Just a few hours had passed. It’s strange how there is such a thin veil between life and death. We’re here one day and gone the next. I think it’s important to make every day count. Tell the ones close you how much you care and put your faith in God. We have to remember that no matter what happens, God has prepared a wonderful place for us and we have that to look forward to. When someone we are close to dies, it’s hard to understand how God could let something like that happen. We just have to realize that he is in control and has a plan and reason for everything, including death. We should always have faith in God and remember that he knows the best path for us even when we can’t see it ourselves. Death is such a terrible thing and its one of the consequences we have to face since Adam and Eve sinned in the beginning. Death has affected I believe all of the population of the world in one way or another. If death has not affected you personally it has affected one of your family members and caused them to act differently which really can affect you. I have had a lot pf deaths in my family and my mom had to go to a funeral just 2 weeks ago. Death is a big thing and we need to know where we are going eternally. Death can be a hard thing to understand. I’ve experienced the death of a loved one and I remember all I could think was, “why?”. But as I have progressed in my faith with God, I’ve learned that He lets things happen,even if we don’t know why. Losing someone close to you, must be hard. I’ve never lost someone close to me, but my sister has. She’s lost several good friends, and it was hard to see her handle those tough situations. Even though she’s had to loose friends, she has learned from their mistakes in life . Trust in God because he will always have a plan! This was a terrible thing, but I agree that we can’t wrap our minds around it. God has His reasons for everything. We may think it’s unfair, but I agree that every day we have is a gift. God doesn’t have to give us a tommorrow. We should be happy that he gave us a life.